Another of our wonderful pen and ink drawings from the 1600s. 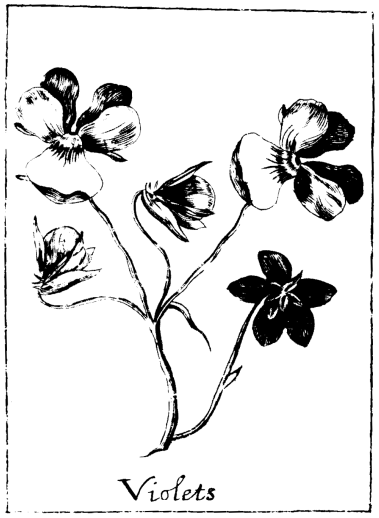 This vintage drawing of sprig of violets offers a wide range of options as it is most certainly copyright free and in the public domain just about everywhere. Free, downloadable, and not restrictions – can’t beat that! This vintage book illustration dates all the way back to 1653. A Book of Fruits and Flowers did not include informaiton on the author or the illustrator.